The mission of Dog-Gone Behavior Issues, LLC is to ensure your dog is provided with all the required elements of a joyful, happy and fulfilled life! Rob Lerner, founder and head trainer at Dog-Gone Behavior Issues, LLC, has been sharing his love for dog training since 2003, when he began volunteering at the Agoura Animal Shelter. In 2010, Rob was honored as the shelter's "Volunteer of the Year." Rob's shelter duties include a monthly appearance on KABC Eyewitness News to showcase a shelter dog as the PET OF THE WEEK. Oftentimes, this is an older dog, a dog that may have been overlooked, or a dog that's been at the shelter for an extended period of time and needs to find his or her forever home. Over the past 8 years, every dog that's made an appearance with Rob on TV has been successfully adopted. Over the years Rob's reputation for success has grown considerably and he is well known for his rehabilitative skills and expertise using the most up-to-date positive reinforcement techniques. 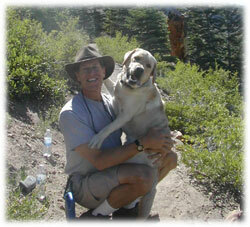 Rob works with dogs of all types but especially enjoys rehabilitating fearful and fear-aggressive dogs. Rob’s work has been featured on the National Geographic Channel, after he successfully rehabilitated "Sissy," a very fearful German Shepherd mix rescued from a hoarder. Rob's passion for helping led him to Louisiana in 2005 to join the Animal Search and Rescue Team for Hurricane Katrina victims. 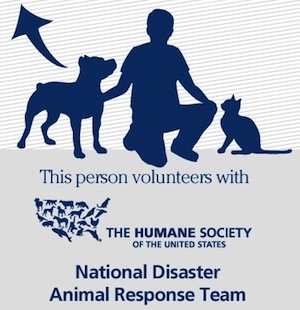 He is a certified member of the National Disaster Animal Response Team (NDART).